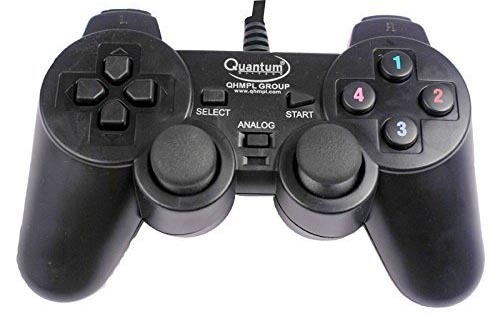 Do you have a Gaming PC or Are you a PC gamer then you must looking for gamepad which can connect with your PC SO, You can enjoy games as good as on any other gaming console. If you are here then probably you don’t have much budget to buy a good gamepad for your PC. That’s why we are going to help you to find the Best GamePad for PC under Rs.500 in India which you can buy online and offline. We also write a great article on Best GamePad for PC Under Rs. 1000 you can also check that if your budget allows. Lets back to the main topic all the gamepad we find under 500 has all the basic features like two joysticks, All the main buttons, and vibration motors. One thing I want to clear here no gamepad in this list is capable with any smartphone. All the Gamepads are great for the price you pay all are very similar to each other in terms of features and performance. 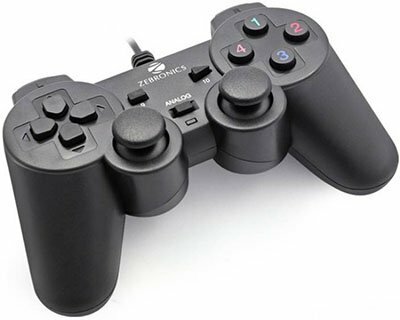 So, here is our list of Top 5 Best Gamepad for PC Controllers under 500 Rupees in India. Now talk about each gamepad in detail about build quality, performance, and other stuff. This is the Best Gamepad which you can buy under Rs. 500 price range it has great build quality. 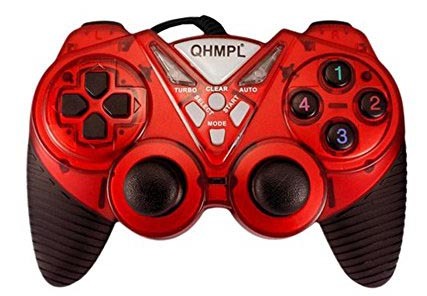 Quantum QHMPL QHM7468 has all the basic buttons and this one has great vibration motors one of the best in this list. Wire length is also good overall this is a very good package under Rs. 300. It has 8 Way Direction Buttons. Individual Select and Start function. Double vibration motors & Shock Function. Only D Input mode – Which is a Drawback. 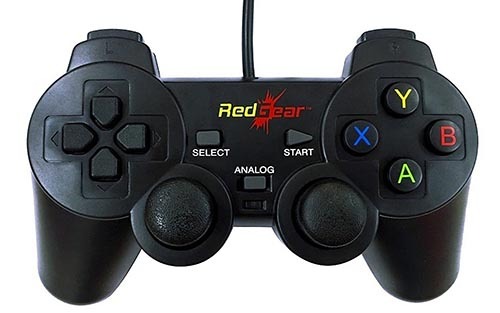 Redgear is a known name if you want gaming accessories in budget price. This gamepad is not an exception RedGear Smartline wired gamepad controller is very much similar to Quantum gamepad but with a little bit better build quality. There are no physical or functional differences between Smartline and Quantum 7468. But This gamepad has Both input mode X input and Direct Input so you can enjoy very much any game available in the market. X-D Input mode. Big Advantage Over Quamtum 7568. Compatible for Windows 7 / 8 / 8.1 / 10. This Gamepad is most expensive in this list cost Rs. 470 But if you are paying extra money you definitely going to get some extra here. First of all this gamepad has much better build quality and has extra grip on the side. Overall this gamepad is completely value for money. It has Dual vibration motors. This one has Slip-proof handle design. Double vibration / Shock Function. 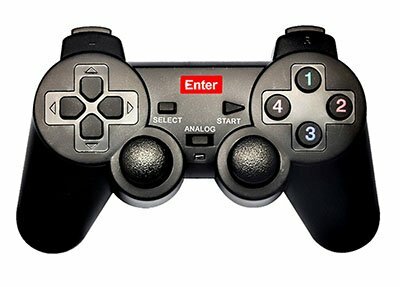 Directional Pad + 8 Fire buttons + 2 Analog sticks. There is nothing much to talk about all these gamepads because nothing special here all the gamepads almost work and functions same So, It’s completely on you which one you like the most you can buy that. This gamepad has 8-Way direction button and 10 fire button + slow button. This GamePad is Perfect competitor for Zebronics ZEB 250JP This one also has great build quality as compare to others. It has 8-Way direction buttons. 10 fire button + slow button. THis gamepad has Individual turbo and clear function. Fully analog action buttons and D-pad. So, That is Over list of Best GamePad for PC Under the Price range of Rs. 500 in India. If you like our list definitely share this with your friends and family on social networking sites and If you have any question or query do drop in the comment section below. If you have any other gamepad in your mind which you think is a good option under Rs. 500 Definitely tell us in the comments section Below.